True love is always true. It does not matter whether it’s last or first. 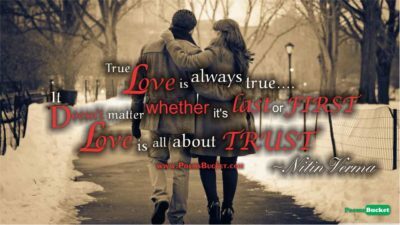 Love is all about trust.